Wheathampstead Parish Council owns and maintains four open spaces in or close to the village centre and maintains an additional two leased areas. Access to the river is somewhat limited in the village itself and is best viewed from the Diamond Jubilee Garden (see menu on the left). 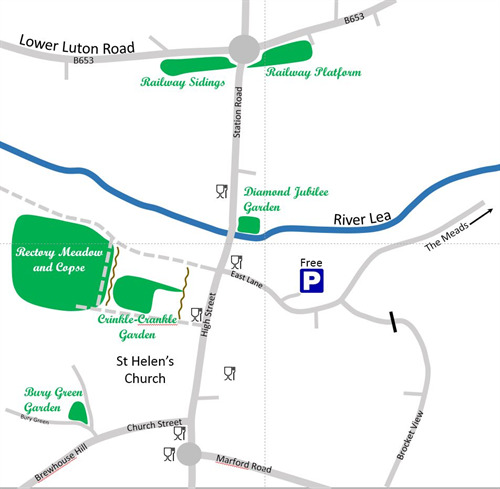 The main access to the river is from the Meads, just a short walk down East Lane past the free car park. Information on the Meads can be found here or by following the menus on the “Around the Parish” page of the web site.